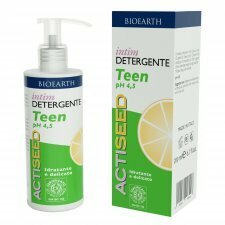 Actiseed Intim is a complete natural line that can respond effectively to the major problems of male and female intimate areas. 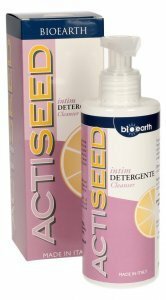 Each Actiseed Intim product is made with Grapefruit Seed extract, a natural substance known and appreciated for its outstanding purifying and sanitizing functions. The addition of essential oils and biological botanical extracts enhances the properties of the Grapefruit Seed and the activity of the final product. 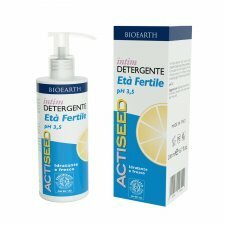 Following the Bioearth philosophy, the Actiseed Intim products contain no aggressive chemicals or substances potentially harmful to humans and the environment, and are not tested on animals. In particular, the formulas are free from SLS/SLES, PEG, acrylates, silicones, petroleum derivatives, propylene glycol, imidazolidinyl urea, parabens, dyes and synthetic fragrances. 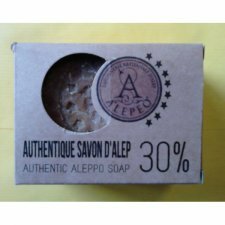 Aleppo Soap, probably the first soap got in the Mediterranean basin, it can be considered the most natural soap. Still it is manufactured in Syria with traditional recipe unchanged, mixing the oil obtained by cold pressing of the olive laurel berries, slow cooked, cut into pats manually and left to dry for 10-12 months to air and the warm sun of the East. Precisely this long drying gives this soap a long duration. Of extreme sweetness, it is excellent for the cleaning of the person, for the hair, for the most delicate skins who resent traditional soaps, against insect bites, eczema, allergies, psoriasis. Its use is also indicated for hand washing. 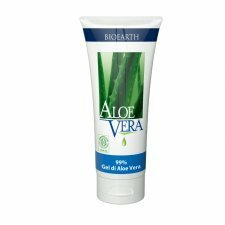 Body gel based on Aloe Vera conditioning action and extracts of Echinacea, Hypericum, essential oils, seaweed. Moisturizes deeply, leaving a pleasant feeling of relief. Promotes the restoration of physiological skin barriers. Intensive action. Aloe Vera Gel 99%. 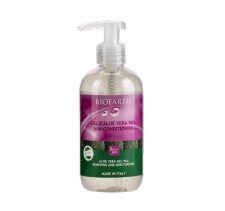 A natural formula which offers the skin all the properties and virtues of the organic Aloea Vera Gel. It hydrates, soothes and softens dry, chapped, sensitive and allergic skin types. Fragrance and coulour free. Made in Italy by Bioearth. 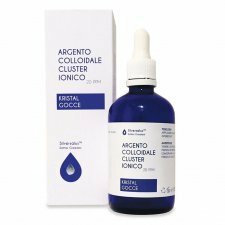 The pure colloidal silver in clusters of the SilverSalus product line, by Dr. Graziani, is obtained with techniques subjected to strict industrial secrecy. A peculiar feature of colloidal silver in ionic clusters is the large active surface that allows the use of a small amount (PPM) to perform an optimal action. 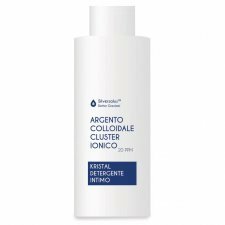 Colloidal silver ionic cluster Kristal intimate cleanser, 20 PPM. 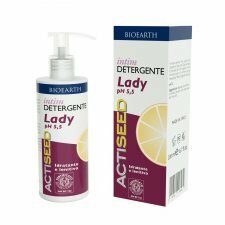 Hygienizing and protective intimate detergent, formulated with colloidal Silver in ionic cluster, Tea Tree oil and Sage extract. Also indicated in case of excessive development of local microbial flora. 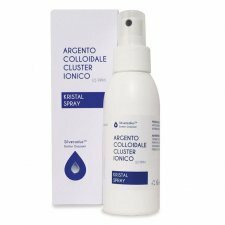 Colloidal Silver ionic cluster Kristal Spray, 10 PPM. Tonic, soothing and purifying solution. Day sanitary pads with wings for a natural sensation on your skin. Clinically tested. Composition: soft filtyering cotton in contact with skin, bioplastic outer film, PLA inner filters, cellulose absorbing core and abosorbing polymer. Pack of 14 pads, individually wrapped. Very usefull wet bag to carry soiled diapers, it can contains 3 or 4 diapers. Water resistant, model with zip closure and eyelet for hanging. The bag is made from waterproof laminated polyester polyurethane. Larger and more absorbent than regular sanitary pads, they are perfect for women in the postpartum period. They have a cellulose layer covered with delicate fabric to provide high absorbency and comfort for young mothers. 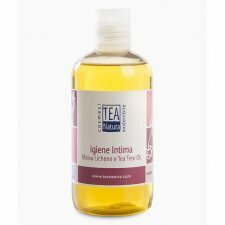 The intimate cleansing gel TEA is characterized by the presence in the formula of Mallow extracts, with emollient and soothing, Lichen of Iceland and essential oil of Tea Tree Oil that perform antiseptic, antibacterial, antifungal and sanitizing. Also suitable for sensitive skin thanks to the soothing properties of calendula and the refreshing and normalizing of cranberry berries. Product based on vegetable surfactants. Scented with organic essential oil of lavender. The skin is protected, soft and hydrated. 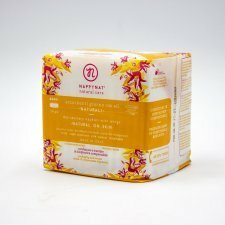 Free of parabens, phenoxyethanol, alkaline soaps, alcohol, dyes, SLES, SLS, ped. 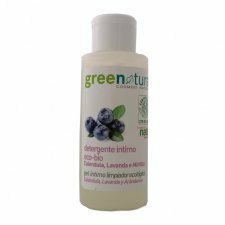 Intimate cleanser for delicate hygiene of intimate parts guaranteed by the use of a cleaning agent and an emollient derived from organic olive oil. The presence of extract of grain organic oats instead brings emollient and moisturizing. 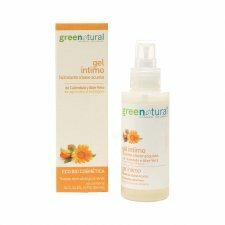 Intimate gel moisturizing and water-based lubricant composed of Aloe Vera extract, Panthenol and Calendula organic. 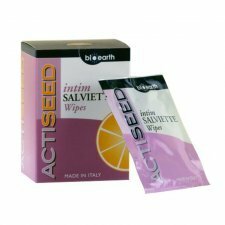 The formula was designed to carry lubricant action and of joint protection to a feeling of freshness and deodorant properties. This gel can be used to facilitate the insertion of the menstrual cup and to prevent irritation in relations in the case of vaginal dryness.